OPPORTUNITY IS CALLING. Make the call before it's too late! 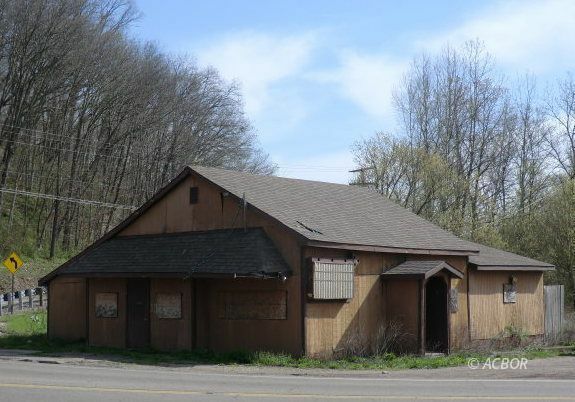 Commercial property located in a highly visible location within 100 yards of a 4-lane State Route 33 and less than 8 minutes to Athens or points North. Property fronts on the corner of well developed State Route (682) and has access from two directions. Property is 1.17 acres of level ground surrounding the building and auxiliary pole building. Lots of parking and great level access. Both structures have reasonably good roofs and re-use or re-development potential. This is a prime business location for such things as storage, contractors business, merchandise or retail. Ever think about owning your own business location, this is the most cost effective opportunity available. Electric, phone, and public water available. Lots of hard surface pavement . Old septic system on-site according to owner.